These bamboo mini plates showcase the warm colour contrasts of natural bamboo to stunning effect. 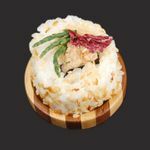 If you’re looking for something a little different, these make for an unusual presentation plate for so many small food portions including canapés, mini puddings and sushi rolls. They’re practical, with a handy lip to hold everything in place, and when your tasty morsel has been eaten, the eye-catching striped pattern is revealed as a little extra surprise. 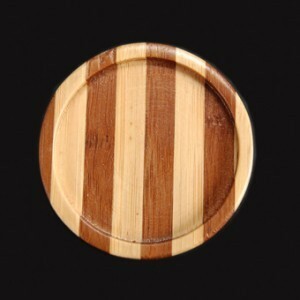 Round Two Tone Bamboo Mini Plates x 12 has not been evaluated yet.